Our new resident Nutritionist Fran Taylor joins us again today to talk about diet for vegan runners. 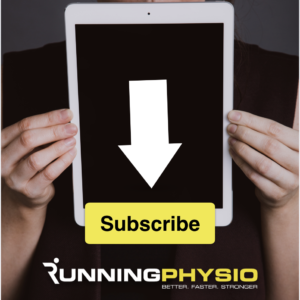 Her last piece on nutrition and tendinopathy has proved really popular! For more from Fran follow her on Twitter: @TheBrightonNut1 and on Instagram: TheBrightonNutritionist and check out her website. The shift to a plant based diet has grown considerably over recent years and it’s a gaining momentum in the running community. There are compelling reasons to do so. Vegan diets have been associated with a number of health benefits such as reducing obesity, the risk of type 2 diabetes, heart disease and some cancers. As well as this compared with a standard Western diet vegans are much more likely to reach and exceed their five a day. This results in a diet which is higher in fibre, antioxidants, vitamins A, C & E and potassium, folate and magnesium. Added to this are the animal welfare and environmental motives. Micronutrients – vitamin D, vitamin B12, iron, calcium and iodine. Eat enough: If you’re training hard and doing a lot of miles you need to ensure you get enough calories. Vegan diets can make you feel full more quickly due to the volume of high fibre foods. Data shows that vegans, on the whole, consume less energy compared with omnivores. Additionally low energy intake increases the risk of a compromised immune system which can raise the chance of illness and injury. Protein – get enough, make it varied: Plant protein can adequately meet your needs when a variety of plant foods are eaten, but do make sure you are getting enough – important when training hard or recovering from injury. Vegan sources of protein are less easily digested than animal sources so it is possible that the amount of protein needed is even higher to counteract the decreased digestibility of plant protein. Current general protein recommendations vary from 0.8g-1.2g/kg body weight for sedentary populations to 1.2-1.6g/kg body for endurance athletes. Omega 3 fatty acids: Essential for eye, brain and heart health, and has been shown to have an impact in the inflammation process. This makes it important for injury recovery or after a big training session. Vegan sources include walnuts, flaxseed, hemp and chia seed. You may also look at supplementing with algae omega 3. Calcium: Essential for bone health and muscle contraction. 700-100mg is needed daily. Fortified soy milk is a good as it’s a source of protein too. Check other plant milks are fortified and include other sources of calcium like chickpeas, sesame seeds, dark green leafy vegetables, bread and other flour products. Iron: Essential for red blood cell production and immunity. Eat a diet rich in pulses, dark green leafy vegetables, dried fruit and include fortified foods like cereals, bread and flour products. Combine these foods with vitamin C rich foods like citrus fruit and peppers as this helps your body absorb the plant based iron. Vitamin D: Essential for bone and immune health and muscle strength. The majority of the UK population is deficient in winter. Supplementing with 10ug a day is advised especially in the winter months. Vitamin B12. This is found in yeast based products like Marmite but I would advise a supplement as it is unlikely you will meet requirements on a plant based diet. Iodine: Needed for thyroid production and involved in regulating metabolism. The amount of iodine in plant food varies dependent on the soil it’s grown in. Sea vegetables are a good source, but be careful of kelp supplements as the amount of iodine in them can vary greatly to what is stated. What’s important to train well, recover quickly and stay healthy is planning and preparation.